Zauba listing reveals "edge" version of Samsung Galaxy Note 6? India's Zauba website reveals imports and exports of note (no pun intended) heading into and out of the country. Just the other day, a listing appeared for the import of a metal mask to be used on the production line for the SM-N935G. Considering that the Samsung Galaxy Note 6 (or will it be the Galaxy Note 7?) is the SM-G930, the model number listed on Zauba certainly could be for a Galaxy Note 6 edge. Keep in mind that the model number for the Samsung Galaxy Note 5 is SM-N920, the Samsung Galaxy S7 is SM-G930, and the Samsung Galaxy S7 edge is SM-G935. It isn't what those in the legal profession might call conclusive evidence, but it does appear that another variant of the next iteration of the Galaxy Note will be coming. Based on previous rumors, the phablet will feature a 5.8-inch screen with a 1440 x 2560 resolution. The Snapdragon 823 SoC will be under the hood with 6GB of LPDDR4 RAM inside. There is talk that a version of the device with 256GB of native storage will be available. A 12MP camera is expected to adorn the back of the unit, with a 5MP camera in front for selfies and video chats. 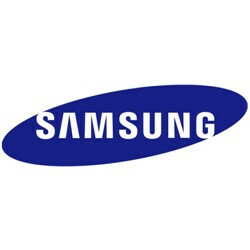 We could see an IP certification number for the first time on a Galaxy Note model. If you're wondering about the use of the Metal Mask, it is employed in the production of integrated circuits used to produce the touchscreen and other parts of a handset. According to Zauba, two of the masks were imported on May 26th valued at $120USD each. Ohh my, could this be my next phone? The king of all smartphones is making itself known to the masses!!! Why not 16 mp with same tech!! Btw wait for some guyz to complain even if its gonna be a perfect phone in world this time!!! Note 6(Note 7?) Edge with a 5.8 inch display would definitely be enough to convince me to upgrade from my S6 Edge+. I would take a flat version or one side with edge version. Zenfone 3 Deluxe, HTC 10, Note 6 Edge... Dude if only I'm a millionaire or at least my paycheck is more than enough to buy these phones, I definitely would! You are the same one who bash indians, right? That they can not afford flagships, I can buy all 3 (assuming note 6 would be up to $900) in single paycheck (of 2 weeks) and still have enough to buy iPhone 6S plus 128gb. He's talking about the original versions not crappy indian copies. LOL, nice try, I am an Indian but currently in US. Anyway thanks for judging. I hope you can at least afford one of those crappy copies if being raciest pays that much. So we're here to talk about paychecks! yas! Talk about getting too personal. And I'm not bashing and hating, just stating the facts. I don't understand something. How come waiting on an iPhone is frowned upon, but basically praying for the Note isn't? That's extremely hypocritical if we're being honest no? Because the iPhone is ugly and played out. iOS hasn't changed in 7 years. It still looks like it was designed for children. Does that answer your question? The fact that you get invited for bulls**t nonsense like this only reinforces what I said. The Note didn't exactly "give" you anything. It was far to good at taking away things to give much back, and how is TouchWiz any better looking than IOS? It's basically a copy of IOS with a theme store. Wait a minute, why am I wasting time talking to you of all people? Somebody reasonable please answer my question, preferably without some stupid biases. I answered your question. It is not my problem that you can't handle the truth. If people don't like TouchWiz, they can change it with another launcher or they can use a different theme. Apple copied the Note like with their "Plus", so it just goes to show you how good the phone was to begin with. The Note is at the top of the phone food chain. That is why people are excited about it. People used to buy iPhones because they thought it made them look cool, but then they realized that anyone flipping burgers or cleaning toilets for a living can obtain one. Apple is a Walmart brand sold at Walmart, no one is impressed anymore. They literally sell Samsung phones in Walgreens, what's your point? They are phones dude, your hate is unfounded and asinine. They sell cheap crappy prepaid $50 phones at Walgreens. How does that compare to selling a flagship at WalMart? So I see Techie once again. You know for an individual who ridicules people for iPhone because it's "premium" you sure are coming hard at Wal-Mart lol. You know, the largest retail/grocery chain in America. How about the hypocrisy demonstrated here. You hate Apple elitists but saying "ewww Walmart!" is perfectly reasonable I take it? Perhaps if Samsung offered the S7 there, more people would know it existed :D.
I guess being crazy about either is bad. Since they are not launched yet, we don't know anything about them. I guess there have been to many iPhone articles for s**tty findings (case which did not even looked real, specs leaks with not trustworthy sources, just click baits). Next note articles have been comparatively at lower rate. IMO being excited is okay, crazy isn't. God could you please go PMS somewhere else. Your reasoning skills are akin a newborn trying to regurgitate String-Theory. It's annoying and unwarranted :D.
Being excited to see the new iPhone isn't frowned upon. Knowing you're buying it before you even know a single thing about it is sheepish. I'm excited to see what the Note 6 offers, but until I see it and read some reviews and try it myself, I'm not buying anything. I was excited to see the Galaxy S4, but when it came out I didn't buy it. Same with the S5. It took until the Note 4 for me to get off my S3. And you bought the right phone.